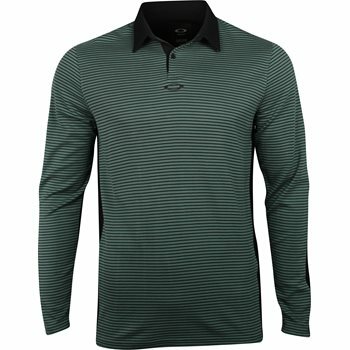 The Striped Long Sleeve polo by Oakley is designed with a button placket, a solid collar, and stripe detailing. The polo features cotton and polyester blended fabric. The fabric is durable for machine washing and offers breathability to help keep the skin cool and dry.